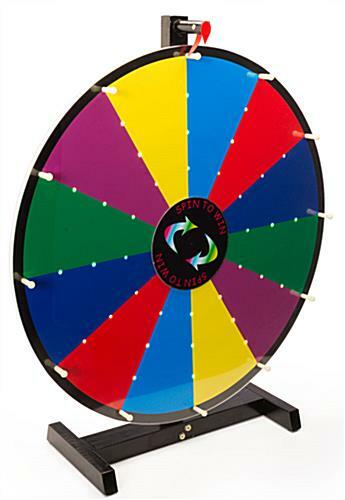 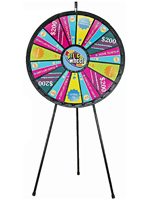 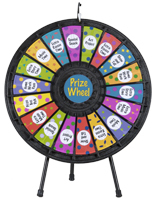 These light up prize wheels with multiple LED light settings are the ultimate party accessory! 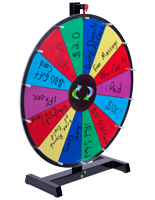 The tabletop display comes with 12 write-on spaces to fill with prizes of your choosing. 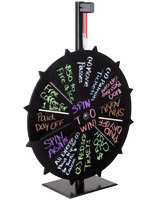 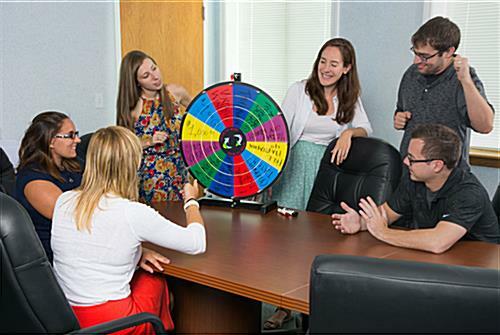 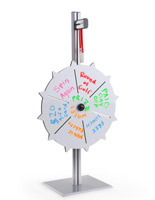 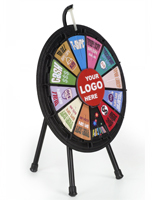 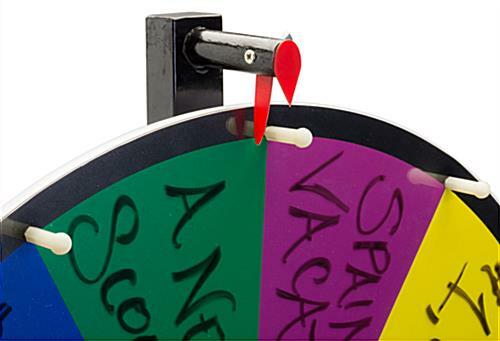 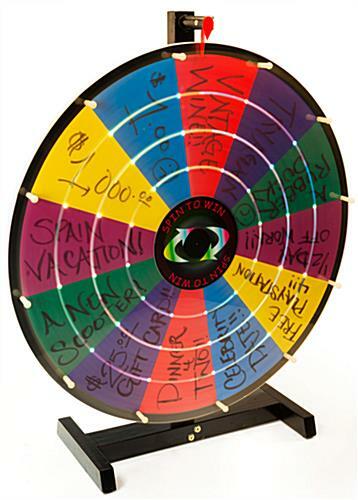 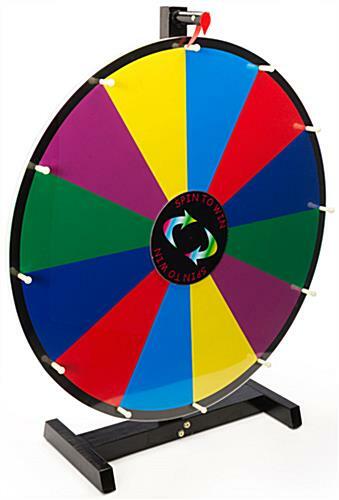 The spinning wheel makes clicking sounds like the old-school raffle game! 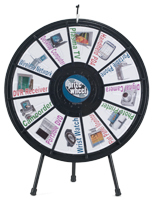 Each can be used with dry-erase, liquid chalk or wet erase markers. 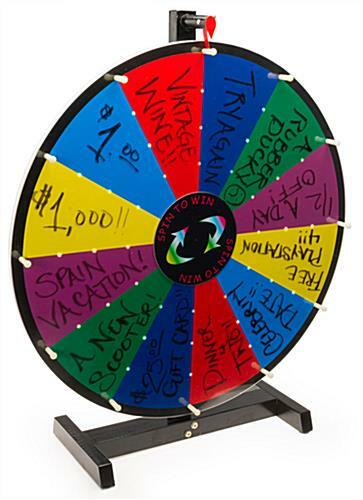 The wheels are multi-colored to catch the attention of passersby! 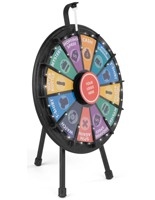 Use the rechargeable battery to power the lights to keep the fun going for hours on end! 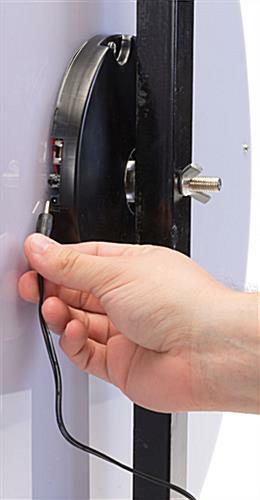 15.6" x 27.5" x 20.0"